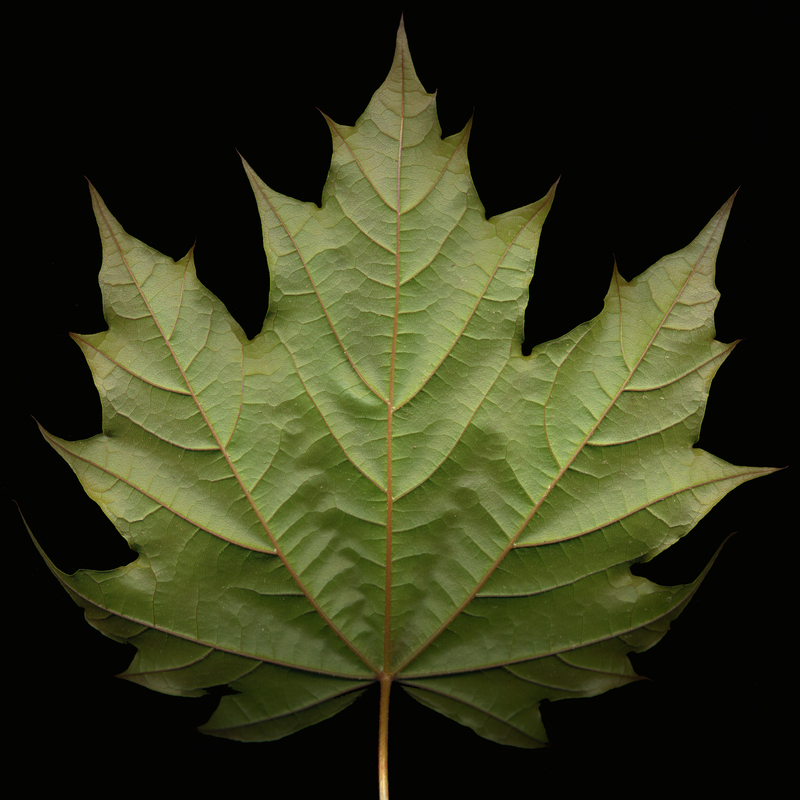 The point being that we should be aware that Norway maples are currently growing in the vicinity, we need to be on the lookout for any that manage to start growing at a conservation area, and if any are observed, they should obviously be removed before they get a chance to become a problem. 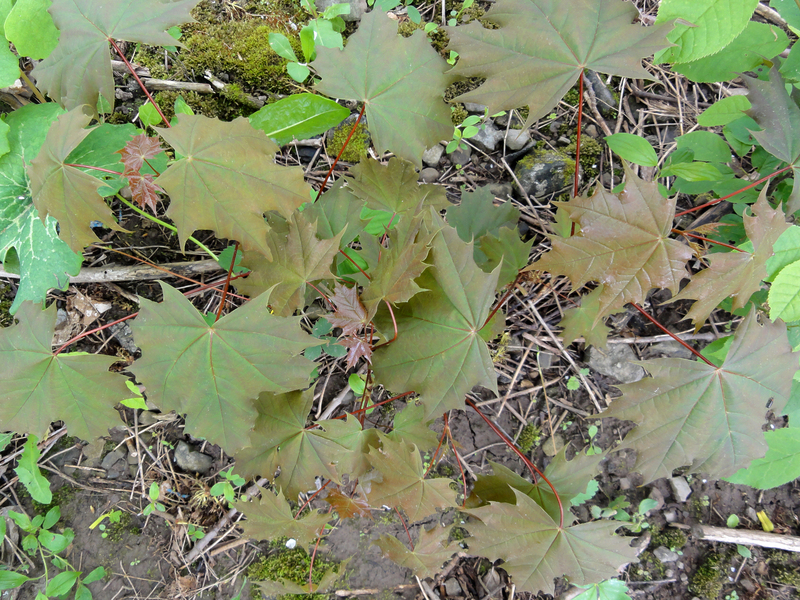 The public should also be made aware that there may be some liability on their part if they plant Norway maples, even on their own property, if there is any chance that they might spread to a natural area. 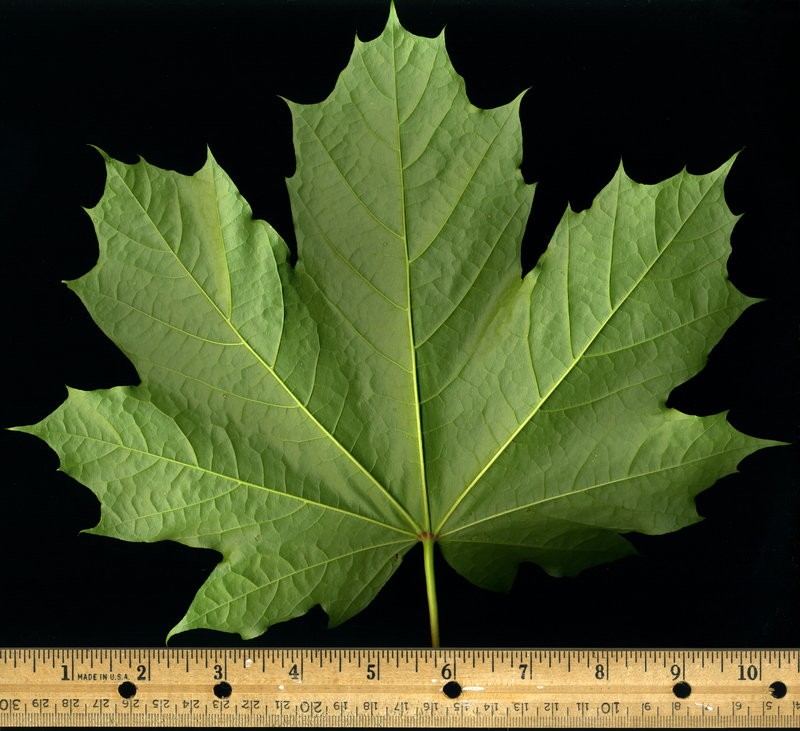 Norway maple leaves can be distinguished from similarly-shaped sugar maple leaves by the thread-like points on Norway maples vs. more rounded points on sugar maple leaves. 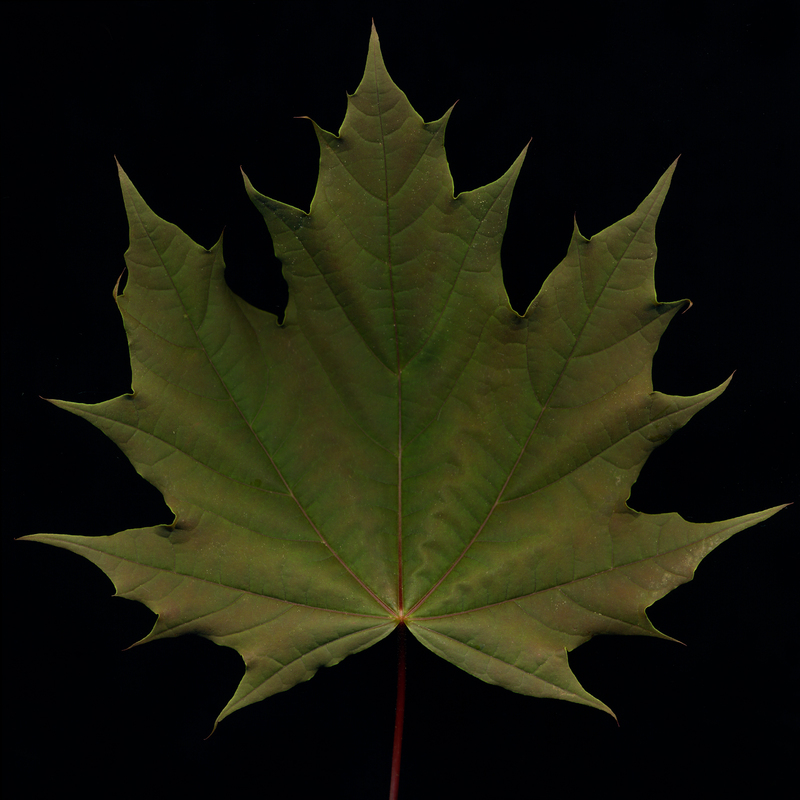 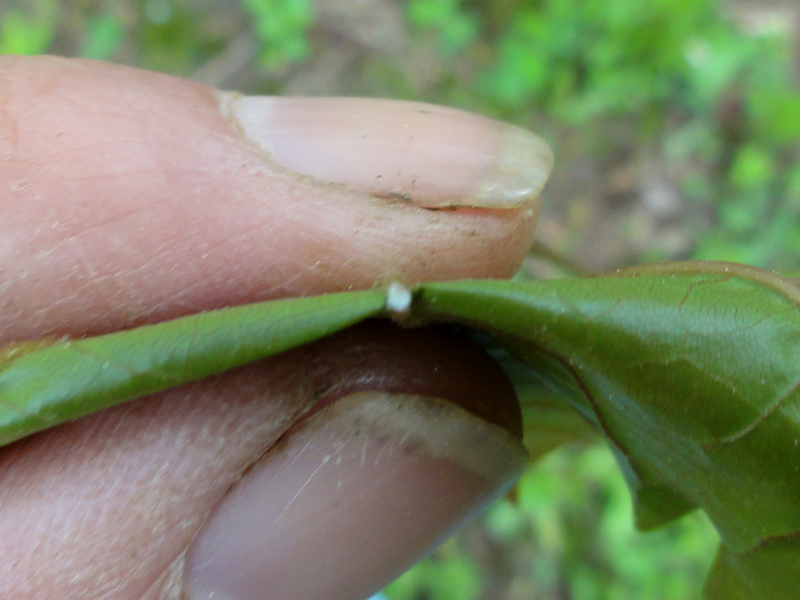 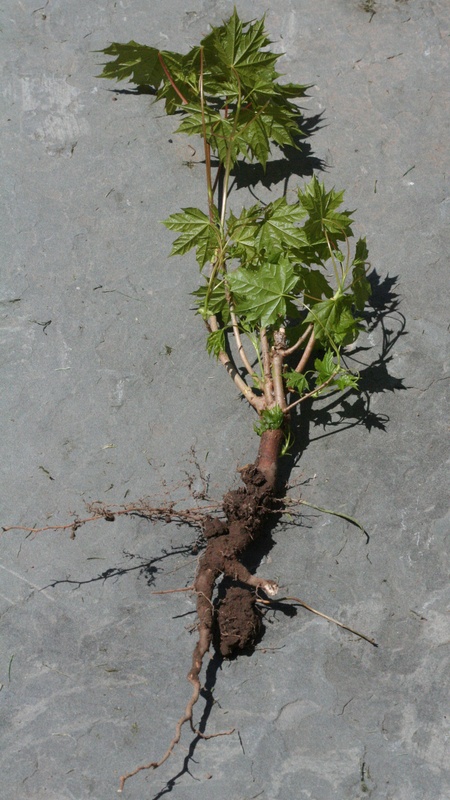 Norway maple leaves also exude milky sap when broken, while sugar maple leaves produce clear fluid.